Tomorrow! Tomorrow! I love ya Tomorrow! You're always a day away! - Charles Strouse and Martin Charnin, from the musical "Annie"
Separated at Birth? Maybe. 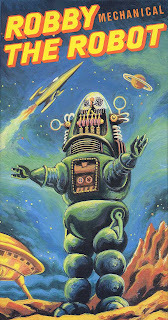 Robby the Robot, these images and the YouTube clip below do have a lot in common. They are all attempts at "period" science to prophesy what our future will be like. We seem to be hard-wired to vainly ponder, anticipate or worry about (sometimes simultaneously) what tomorrow will bring. Me? I'm happy to just let it happen. It always seems to come soon enough. 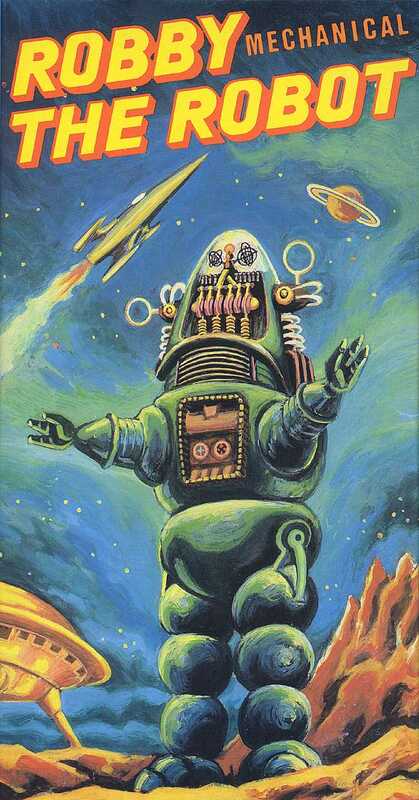 In the 1940s and 1950s Popular Mechanics did a series of short movies and articles (as they still do) about the anticipated technology of the future. The clip below was released May 21, 1948. At the time, if you know anything of history, the United States was beginning a long post-war prosperity boom. The country was flush with confidence and the feeling that anything was possible. There was a presumption that the future had to be better than the recent past (who can blame them after the Great Depression and WWII). This desire to always second guess is not confined to the past. Just pick up any current science or technology magazine and you'll see what I mean. The spirit of that more innocent and hopeful time is reflected clearly in the ideas represented in these illustrations and video clip. In hindsight, it's easy to laugh and say "What were they thinking?" Luckily, these attempts at prognostication survive for us to enjoy. If you like this post feel free to retweet it using the link at top right, or share it with any of the links below. Nothing particularly high tech about that three wheeled car, though the styling is a bit different. I'm sure it would be possible to come up with something more conventional looking that still had less air drag. I'll bet the handling is inferior. Also, if you watch carefully, it has a lousy suspension!